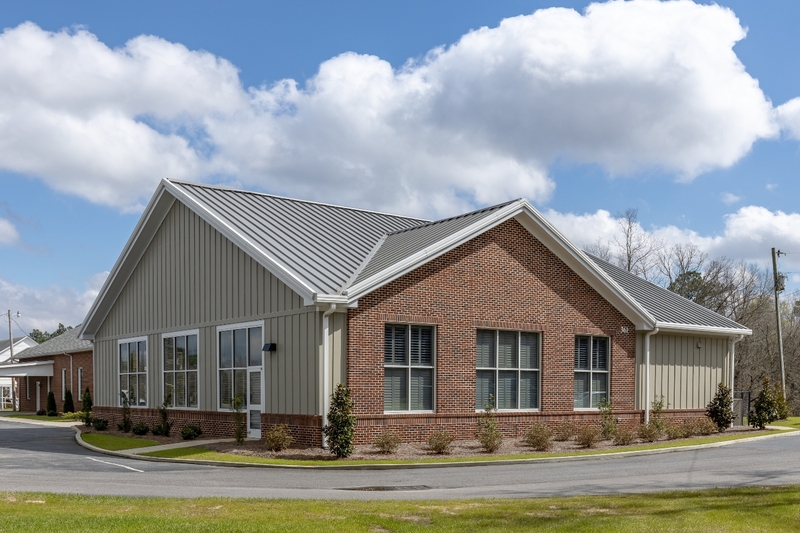 Talatha Baptist Church in Aiken, South Carolina is a new build project. 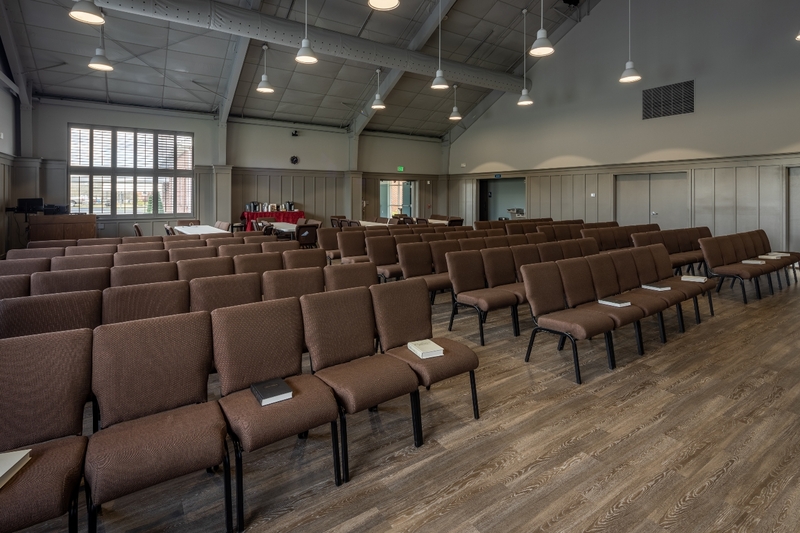 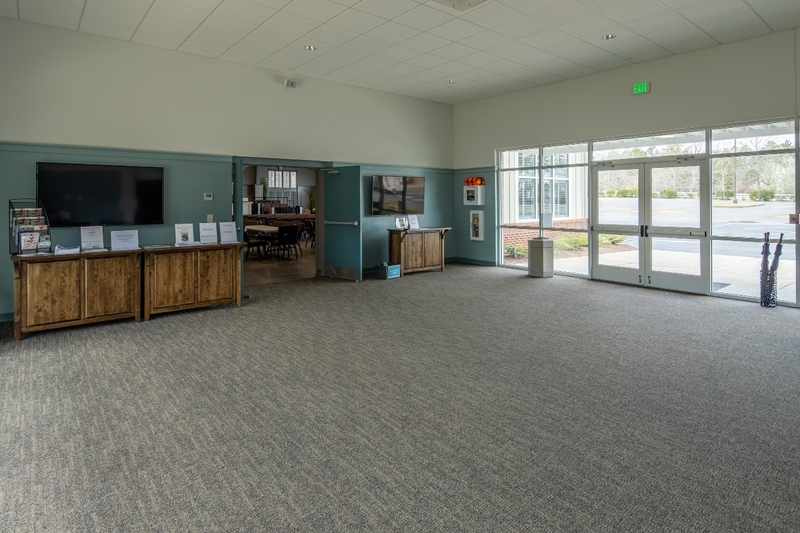 The 4,900 square foot addition consists of a multipurpose area and welcome area plus a 800 square foot catering kitchen and bathrooms. 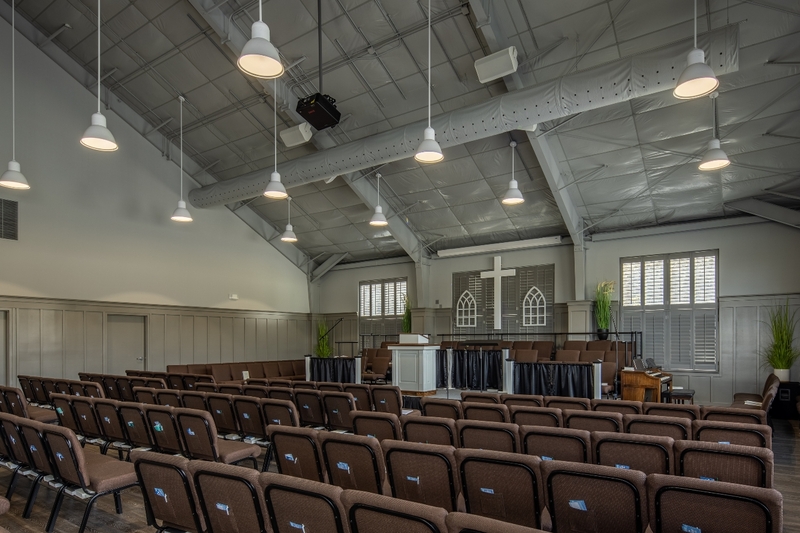 This is a modern design church with 28 foot exposed steel ceilings and fabric duct work in the HVAC design to help with acoustics. 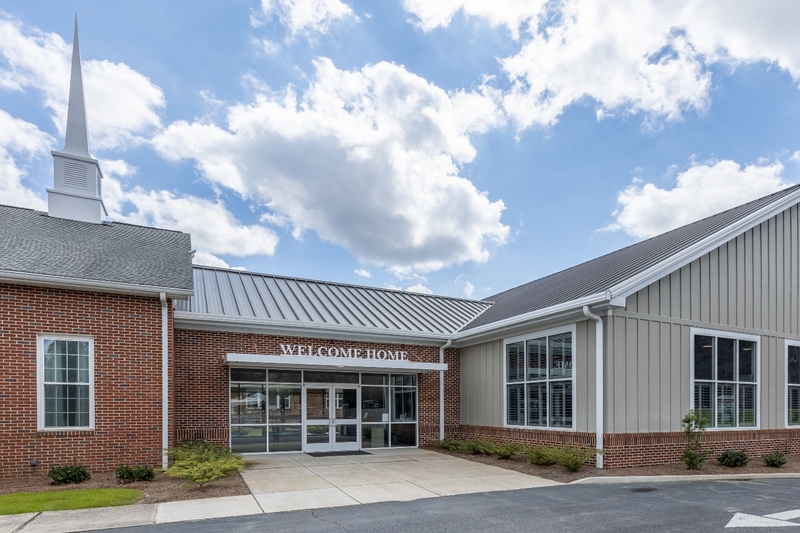 The exterior consists of brick and hardiboard.